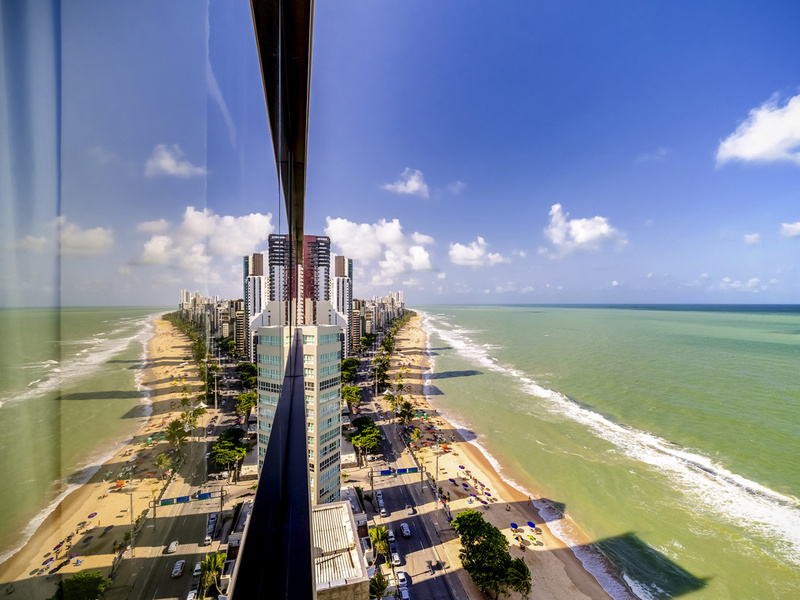 The Grand Mercure Recife Boa Viagem has everything you need to make your stay in Recife unforgettable! This beachfront hotel is fully equipped for events, overlooks the natural swimming pools formed by the reefs and boasts comfortable apartments featuring a minibar, air conditioning, cable TV, safe and free WIFI. Enjoy our pool, sauna, fitness center, spa and beauty salon, while the Mangabeiras restaurant combines the sophistication of international dining with the flavor of Brazilian cuisine. The Mangabeiras restaurant has a stylish and minimalist décor and specializes in a blend of contemporary international cuisine and regional gastronomy. Guests can also enjoy the lobby bar, which is open daily from 11.30am to 11pm and serves a variety of drinks and snacks in a cozy environment.